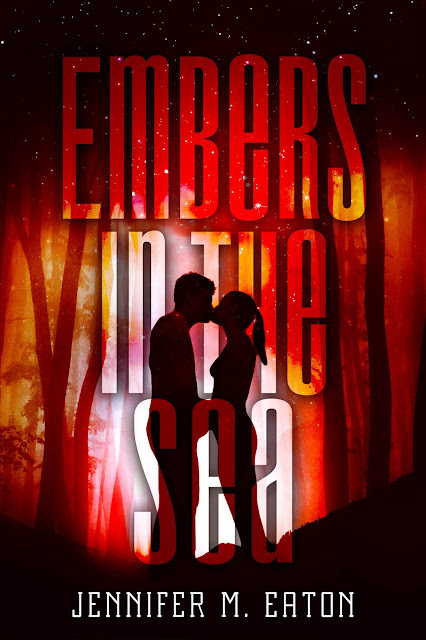 Two Chicks On Books: M9B Friday Reveal- EMBERS IN THE SEA by Jennifer M. Eaton Chapter 1 & A Giveaway! 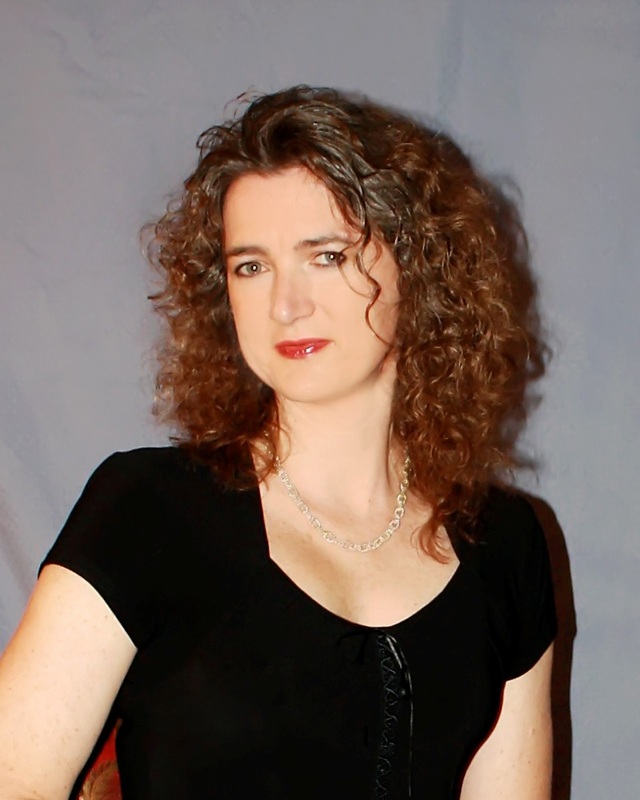 M9B Friday Reveal- EMBERS IN THE SEA by Jennifer M. Eaton Chapter 1 & A Giveaway! Today Jennifer M. Eaton and Month9Books are revealing the cover and first chapter for EMBERS IN THE SEA, the third book in the FIRE IN THE WOODS series which releases January 31, 2017! Check out the gorgeous cover and enter to be one of the first readers to receive a eGalley!! Fire in the Woods has been an incredible journey for me. In book one, Jess and David raced through the woods of New Jersey. In book two, they raced through space, and spent some time on an alien planet. For book three, I needed a brand new frontier, and Earth’s vast oceans seemed the perfect setting for a new alien adventure. I really hope everyone enjoys Jess and David’s race through the sea, because the ocean has secrets, and some secrets don’t want to be found. I tucked back the dark bang that flew in my face, shifted my seating, and balanced Philosophers of the Pre-modern World on my crossed legs. “Because he’s a famous old cleric guy.” Matt plucked the book from the lawn and dusted a few stray grass clippings from the cover. A group of people pointed at us from across the courtyard, and my fingers twined around my necklace, pressing the charm into my palm. When I first came to Columbia University, this was one of my favorite places to relax. The grass was like a hug from home, despite the New York skyline looming just over the trees. But each semester I had to dodge more and more Jess-watchers. Why they were still interested in me after all this time, I didn’t know. It had been nearly two years since David left Earth to help his people populate Mars, and there’d been no impromptu spaceship sightings yet. But alien chasers still flocked to Columbia University thinking today might be the lucky day. “How about we go this way.” Matt tugged me away from the wide-eyed group. Several of them raised camera phones, then looked at the sky. It was always the same, as if just because Jessica Martinez walked outside, a spaceship would magically pop out of nowhere and whisk her away. I smacked his shoulder, like I always did when he complimented me in his own, Matt-like way. It felt like we were back in New Jersey, back when I was “just Jess” and friendships weren’t so much a luxury. “So, when is your cancer conference over?” I asked. I mustered half a grin when three people jumped in front of the steps and tried to pretend they weren’t taking pictures of me. A flash of seventeen-year-old Matt, bruised and bleeding on the sidewalk after Bobby beat him up for taking me to a movie flashed through my mind, before my vision refocused on the brilliant med student Matt had become. I’d saved the world from aliens, but Matt was going to save the world from cancer. He believed it. I believed it. Matt was one of those guys who could do anything. As long as he could avoid getting beat up again. And with me at his side, he would get beat up again. Going to college hadn’t changed Bobby that much, even if Bobby was riding on Matt’s gravy train. Matt just put himself way out on a limb. But did I want to go out on that skinny little branch with him? He punched me back. I loved that. No airs. No games. No attitude. Just Matt. Maybe, just maybe, I could get my life back. Maybe I could be happy again. A startled cry echoed through the courtyard. Matt grabbed my hand and we followed the throng away from the steps and onto the South Lawn. A huge hole had formed in the clouds, widening into a shimmering circle of crystal blue. A few more photography students added their lenses to the crowd. There’d be no deficit of pictures for the papers to choose from, that was for sure. I snapped seven more shots. The race was on. Click. Who would take the best shot? Click. Who would be the first to get their work into the papers? The air in the middle of the circle formed a nearly transparent, shimmering bubble. A rainbow formed across its surface; the stripes brilliant, clear, and defined. Dozens of breaths hitched as an iridescent flicker blasted across the apparition. The form pinched and molded into a colorful, swirling tube that slowly dropped from the sky. Matt tightened his grip on my hand as the other spectators stepped away. Half their gazes staring up, the remainder staring at me. The cylinder fell in short, billowing waves before settling on the middle of the South Lawn. It was there, but it also wasn’t—like it took a picture of what was on the other side and played it like a video, hiding the tube like a chameleon. Wicked cool—if I wasn’t standing so close to it. Matt inched back, glanced at me, then returned to my side. If I wasn’t riveted to my little patch of grass, I wonder if he’d have run. Camera shutters triggered like crazy. Everyone gawked at me, like I was supposed to know what to do. Yeah, cause Jess Martinez knows all there is to know about spaceships. A whoosh echoed through the open area, like the Jolly Green Giant had blown out a candle, but without the wind. The people on the other side of the cylinder lit up as if a hundred suns flooded them. They stepped back, shielding their eyes. My fingers tightened on the strap of my camera. I’d seen that light before, on the tarmac two years ago, as hundreds of Erescopian soldiers left their liquescent spaceships and stepped on Earth for the first time. A siren blaring from behind the buildings broke my frozen stance. I raised Old Reliable, clicking off shots that probably would amount to nothing, until a human form materialized within the cylinder’s hazy brilliance. 3 winners will receive eBooks of FIRE IN THE WOODS, ASHES IN THE SKY, & an eGalley of EMBERS IN THE SEA, International. The whole series looks amazing! Thanks for the post!